Fox Pest Control provides pest control in Irondequoit and the surrounding areas. We take pride in providing exceptional customer service, and take to heart the feedback we hear from each and every one of our customers. 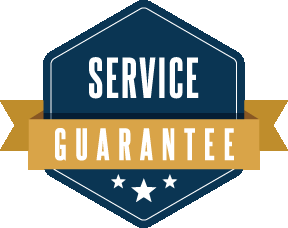 Below you’ll find our reviews, testimonials, and feedback from the home owners and businesses in Irondequoit we’ve serviced. If you need a Irondequoit exterminator, contact us today! The Fox Pest Control team marketing/working our street for a group of pest issues down the street... the entrepreneur knocked on a couple doors asking if anyone needed services. I pointed to a HUGE wasp nest on my neighbor's eve. I asked what would it cost to get this down for this elderly couple. He took the time to explain the benefits of having a pest removal plan in place for your household and then, .... I told him these people are 90+ years old living in this house. They aren't signing up for "plans". Immediately, they called their team together and got that Wasp/bees/hornets nests off the property! They did it for free. Please use Fox Pest Control if you ever have a problem with such things. Joey was very knowledgeable and helpful. His professionalism and courtesy were top notch! Joey Shields was extremely professional and quick. He answered all my questions and he definitely deserves to be recognized for an excellent job. Joey came by and did an awesome job. Highly recommend him. Today I called with a question regarding our treatment service. The receptionist said she would text Chris and have him call me. Chris called right away. In addition, he sent a technician out to our home. Joe arrived within the hour! He was courteous, friendly and knowledgeable. I've called Fox twice now with follow up questions and have received helpful answers in addition to a technician at my door! So far I am very pleased with the customer service in addition to the treatment plan.